John Ross is back! John Ross is back! Having survived “50 Shades of Grey” and “The Host,” he’s once again about to reveal the secrets of lady-focused drama. Is it because he loves the act of epistolary recapping? Or because this blog gives him a reason to do things like watch movies based on young adult fiction? That is between John Ross and his maker. All I know is, we benefit. 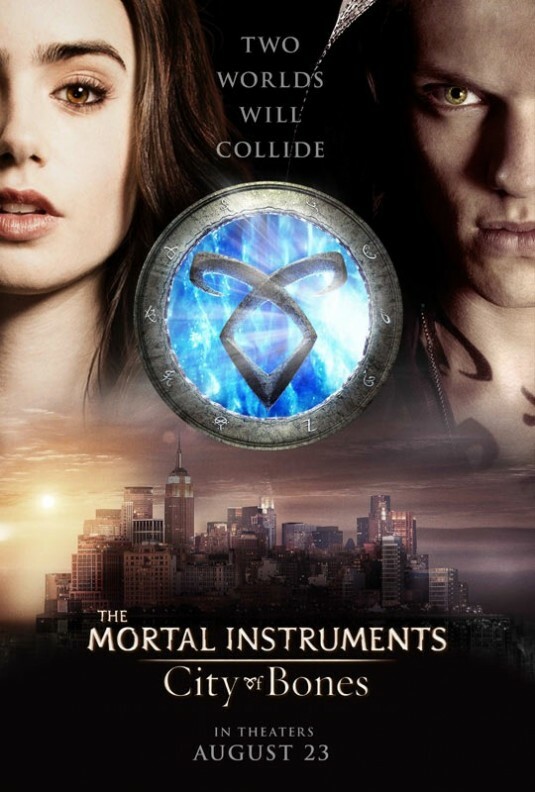 My expectations were below gutter level when I went to see The Mortal Instruments: City of Bones. At the time, it was at 13% on Rotten Tomatoes and based on my previous experience with a young adult novel franchise turned movie — The Host — I made sure to sit near the back just in case. But then halfway through the movie, when I did in fact have to go to the bathroom, I found myself holding it because I didn’t want to miss anything. Whether it was intentional or not — I still can’t tell — this movie is fun to watch! Tags: jamie campbell bower, john tells liz, lily collins, man I can't stop bringing up Twilight, mortal instruments, mortal instruments: city of bones, other people tell liz, robert sheehan, the anti-twilight revolution begins!